If you’ve ever scrolled through Instagram in your life, you probably recognize Alfred Coffee. The L.A.-based chain, which now has locations around the world, set the template for cute Millennial cafés, with fashionable design, witty slogans (“But first, coffee” was all them), and a menu that’s always tapping into trendy flavors, from the matcha craze to CBD-infused drinks. Now, the company’s founder, Joshua Zad, is taking what he’s learned with Alfred to launch a new brand, Calidad Beer. He started thinking about ways he could create a packaged, ready-to-drink product that would inspire the same kind of connection people have with a visit to Alfred. A bottled coffee came up, but the market is already crowded, and he would have to compete for shelf space with mass-produced products from major national brands. Eventually, he settled on creating a beer–and doing so as a brand totally outside of Alfred, with its own distinctive look and name. When he says “lifestyle beer brand,” he means, in part, having a killer visual aesthetic, from the packaging to the social media feeds. 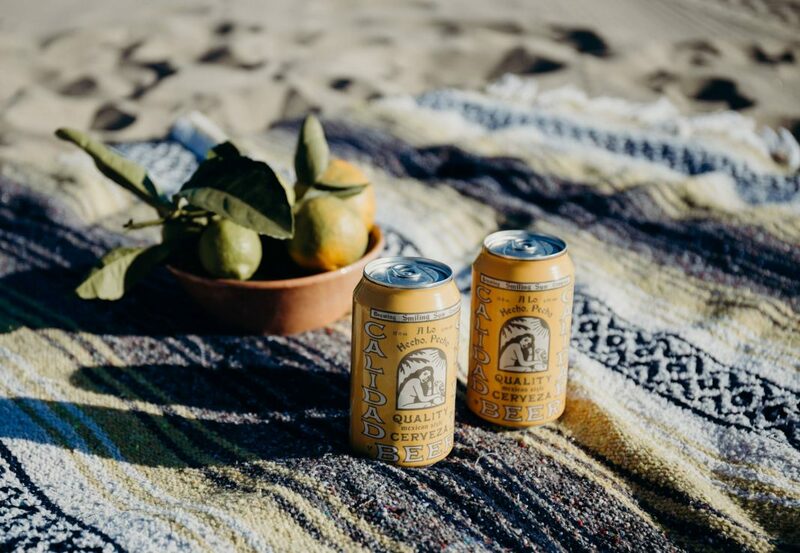 And you can tell from a mile away that the cool, Mexico-meets-California cans are going to be the stars of many, many Instagram photos of attractive young people throwing parties and kicking back–maybe even chipping away at the ubiquity of rosé as photogenic drink-as-accessory item. And, much like the availability of dry, quaffable rosés made wine-lovers out of a whole cohort of drinkers who weren’t that into the super big, jammy wines that had dominated the market in the late 1990s and early 2000s, the Calidad beer style could be seen as a reaction to the flavor bomb, high ABV beers that have become hallmarks of many craft breweries. Previous articleMilk Bar’s Christina Tosi Is Letting Her Imagination Run Wild in L.A.